Great reviews are necessary to be found and chosen online. When visitors look to your business for the best automotive service they can find, make sure you have the reviews to prove it. It’s time to look your best online. Build trust where it matters most – with reviews! Customer reviews are what establish your reputation. Whether you offer state-of-the-art collision repair service, restore American Classics or install quality brand stereos, reviews prove to potential customers that you can do the job. 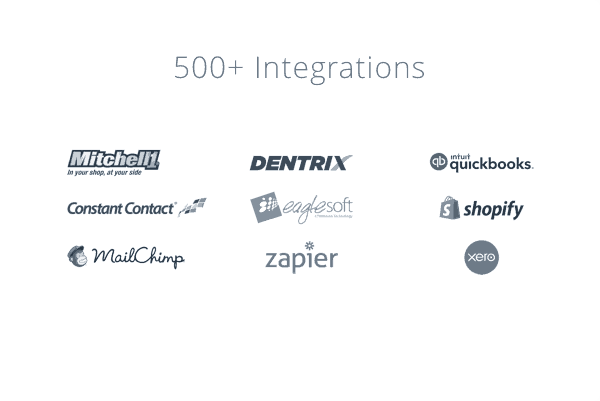 Broadly integrates with your existing software for invoicing, accounting, and scheduling. All you need to do is focus on your shop and provide the best service to your customers. Broadly helps you get found online, look great on local search, and maintain customer relationships. We understand your business and want you look your best. We know you don’t have the time to do it yourself. Plus our customer service is unmatched.